Raya al Habsi ~ A fast path to success! 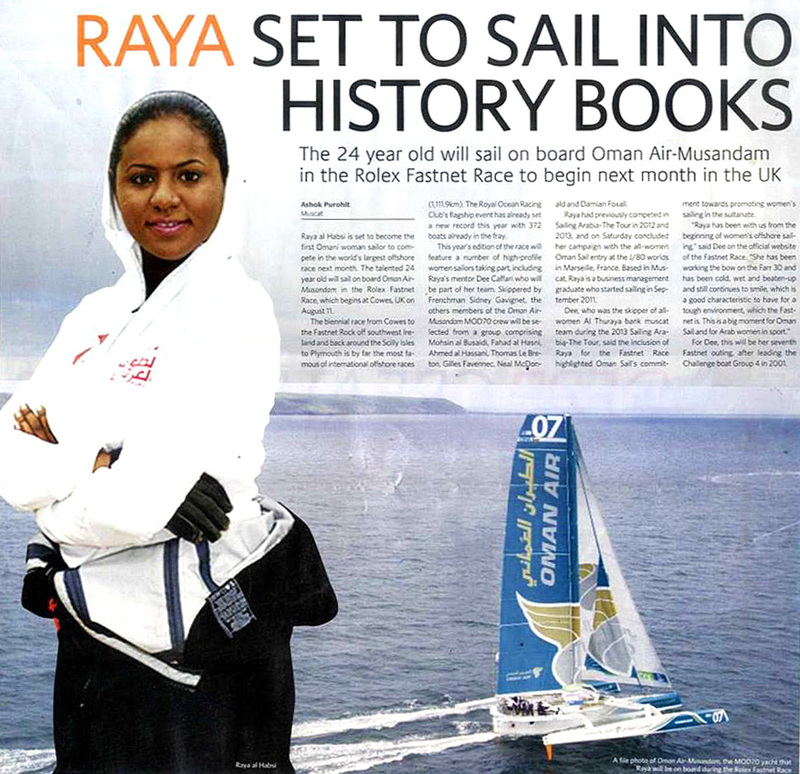 In the fall of 2011 Raya al Habsi and several other young Omani women met Dee Caffari, Katie Pettibone and 4 other elite international women sailors. Dee, Katie and their peers had been invited to Oman by Oman Sail to begin coaching and mentoring this novice group of young women to compete in their first sailing race – the 2012 Sailing Arabia the Tour (SATT). From never having been in a gym to competing with men in a 1200 mile grueling race along the Arabian Coast, Raya and her team mates embarked on a journey that has not only changed the course of their own lives, but inspired thousands of girls and women and their families around the world. Join us as we follow Rising Tide Leadership Institute Ambassador Dee Caffari, and Oman Sail’s Raya al Habsi, as they compete on the blazing fast 70′ multihull Aman-Air Masandam in this year’s Fastnet race starting August 11th. More news to follow!